Candace Spann, MD « Cosmetic Surgery Forum – Practical. Honest. Insightful. 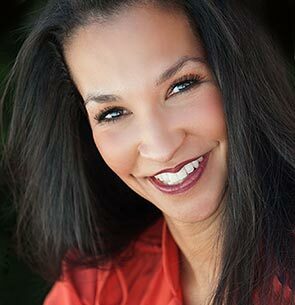 Dr. Candace Thornton Spann is a board-certified dermatologist and fellow of the American Academy of Dermatology. She completed her undergraduate training in 1995 with a Bachelor of Science degree from UCLA. In 2000, she graduated from Meharry Medical College in Nashville, Tennessee. Following the completion of her doctorate, she completed her formal training at St. Luke’s – Roosevelt Hospital Center in New York City, a Columbia University Hospital. After completing both her internship and residency she was in private practice for two years in New York City. During that time she was also an Attending Physician in Dermatology at St. Luke’s- Roosevelt and Beth Israel Medical Centers. She spent two years practicing in Salt Lake City, Utah and is now in private practice in her hometown of Las Vegas, Nevada. She and her husband, plastic surgeon Dr. Marvin Spann, have recently opened Couture Dermatology and Plastic Surgery. Her practice includes cosmetic and general dermatology and dermatological surgery, with a special interest in women’s hair loss. Dr. Spann is the proud mother of two children. She spends her free time enjoying her family, exercising, traveling and singing.